The Begonia has a delicate beauty that few plants can match. This plant offers a multitude of delicate flowers surrounded by lustrous green foliage and makes a beautiful decoration for any space! 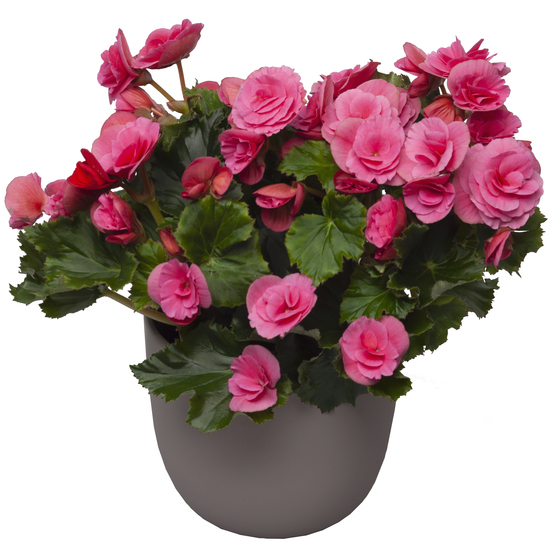 Maintenance: To keep your begonia healthy, give it plenty of light but avoid direct sunlight, keep the soil moist, but don´t overwater it, remove any dead heads to encourage flowering. Note from Teleflora: The pot is included in the price. It may vary in shape and colour according to the florist's stock.